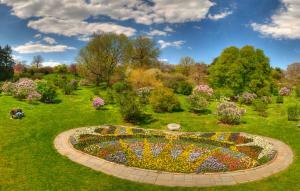 If you love gardening, Rochester, N.Y. is a must-see destination! You wouldn&apos;t expect a famous professional golfer to have the perfect philosophy about flowers - but Rochester native son Walter Hagen had the right idea about life and gardens: "You&apos;re only here for a short visit. Don&apos;t hurry, don&apos;t worry. And be sure to stop and smell the flowers along the way." When you come to Rochester, NY, you&apos;ve come to the perfect place to do just that! We are "The Flower City" -- with an international reputation for horticultural excellence. Today visitors can enjoy abundant gardens, parks, festivals, tours and chances to learn how to make your own garden grow - indoors or out - all year round. Decades ago, neighborhood children played games in an abandoned orchard between the parallel streets of Mt. Hope Avenue and South Avenue in Rochester, NY, just a block or so from Highland Park. The children referred to the land as "The Nursery" - that&apos;s what their grandparents had always called it - but they figured it had to do with a nursery school nearby. They didn&apos;t realize they were playing on land once part of the 650 acre Mt. Hope Botanical and Pomological Gardens - in its day, the largest nursery operation in the world, owned by two legendary 19th century nurserymen, George Ellwanger and Patrick Barry. 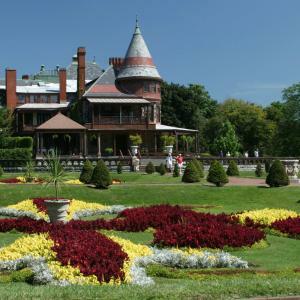 The nursery land was a little imaginary enchanted kingdom to the neighbor kids, but to the city of Rochester, it was part of Rochester&apos;s great legacy of horticulture and parks, a legacy of beauty, fragrance and fame. What began in the early 1800s transformed Rochester into "The Flower City" of the 21st century. George Ellwanger, a German immigrant, and Irishman Patrick Barry met in Rochester. They chose a few acres of fertile land for their nursery in 1840 and took advantage of Lake Ontario&apos;s temperate climate. The partnership paid off -- George Ellwanger propagated more new varieties of trees and plants than any other person in America during his lifetime. With its connection to the revolutionary 1825 Erie Canal, Rochester was booming. 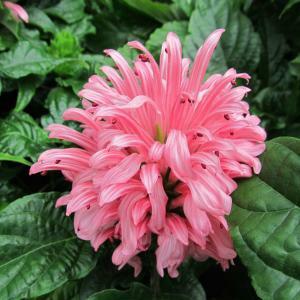 Ellwanger and Barry began shipping plants across America as well as to Europe, India, Australia, and Japan. And they weren&apos;t alone -- by 1855, more than half the nurserymen working in the state of New York were from Rochester, and more fruit trees had been raised in Monroe County by 1856 than in the entire country. By 1859, Rochester had earned its title of "Flower City" as an entrepreneurial center of gardening excellence. And that reputation keeps on growing today. In May, the city&apos;s largest floral celebration -- the annual Lilac Festival in Highland Park -- brings visitors from around the world to enjoy more than 500 varieties of this flower as they burst into bloom on more than 1,200 bushes. The perfume of lilacs in the air is like nirvana for the nose! 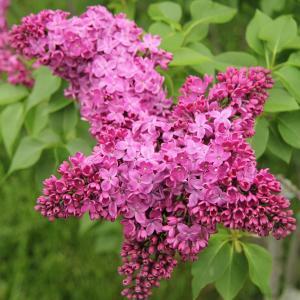 Many of the lilac varieties found in Highland Park were developed first in Rochester. The Lilac Festival is a full week of festivities. There&apos;s a parade to kick it off, and visitors enjoy one-of-a-kind shopping among arts and craft vendors, a craft beer garden, wine and chocolate tasting and music fills the air on various stages. Don&apos;t miss the Pansy Bed display of 10,000 plants in a new design every year. Highland Park became Rochester&apos;s first city park in 1888, designed by famed architect Frederick Law Olmsted, who designed Rochester&apos;s entire park system. Twenty of the original acres for the park were donated by George Ellwanger and Patrick Barry. In addition to the huge lilac collection, look for beautiful magnolia, rhododendron and azalea collections, along with stunning beds of tulips and other flowers in the park&apos;s 155 acres. That&apos;s not all - you&apos;ll also find a Japanese Maple collection, 35 varieties of sweet-smelling magnolias, a barberry collection, a rock garden with dwarf evergreens, varieties of mountain laurel and andromeda, horse chestnuts, spring bulbs and wildflowers and a large number of exotic trees. An iris garden is the gift of sister city Hamamatsu, Japan. This is also one of the oldest public arboretums in the United States. Highland Park includes many other stops any garden lover will enjoy: The Viet Nam Veterans Memorial Garden, the romantic Poet&apos;s Garden, and the AIDS Remembrance Garden. The "Sunken Garden" is another favorite spot. A hidden treasure designed in 1930 by Alling Stephen DeForest, a well-known landscape architect in Rochester, you can find it behind Warner Castle, a picturesque building built in 1854 for Horatio Gates Warner. "The Castle" now houses the Rochester Civic Garden Center and its impressive horticultural library, one of the largest in the Northeast. A short distance along Mt. Hope Avenue is another special place, the Ellwanger Garden. Once the private garden of George Ellwanger, this vintage 1867 garden has more than 25 beds of perennials, including peonies, irises and daylilies as well as roses, ancient pear trees and other plants. It&apos;s been authentically maintained by the Landmark Society of Western New York as a living museum since 1982. No matter what time of year you visit, don&apos;t miss the Highland Park&apos;s Lamberton Conservatory. An Edwardian botanical treat built in 1911, the conservatory has year-around displays ranging from tropical forests and desert plants to exotic blooms and common houseplants. Durand-Eastman Park, along with Highland Park, is part of the Monroe County Arboretum because of its many mature plant specimens. Unique topography and soils allow plants not native to this area to grow here. Bring your hiking shoes and enjoy the park&apos;s steep wooded slopes, valleys, scenic vistas, small lakes, spring flowering trees and spectacular fall foliage colors. In June, it&apos;s all about roses at Maplewood Park Rose Garden. What started with a rose garden planted here in the 1920s has become two acres of roses with more than 5,000 bushes and 300 varieties. Expect to see bridal parties among the blooms - it&apos;s a popular backdrop. Each June, the annual Maplewood Rose Celebration adds a range of activities for you to enjoy. This is a spectacular vision of roses in every color. Eastman Kodak founder George Eastman kept meticulous records of his plantings 100 years ago at his East Avenue mansion. Thanks to his love of detail, The George Eastman Museum is able to replicate his seasonal gardens. These surround the famed museum and mansion, and tours of the gardens are included with admission to George Eastman House. The "Garden Vibes" concert series is another opportunity to enjoy them on selected summer evenings. Just up East Avenue - an easy walk along a tree-lined avenue of neighboring La Belle Epoch mansions - take a break in the Fragrance Garden behind the Rochester Museum & Science Center. There are highly anticipated tours of homes and gardens -- another staple of summer in Rochester with at least a dozen scheduled each year. Flowering trees along city streets, neighborhood gardens, "pocket parks" tucked into unexpected places, and a "rain garden" along the Genesee River...You can see why Rochester has such a "blooming" reputation. (Sorry. We had to go there! South of the city in Mumford, N.Y., Genesee Country Village & Museum brings a 19th-century perspective with 13 heirloom gardens ranging from a dye garden, kitchen vegetable plot and Shaker medicinal garden to the formal designs favored in Victorian times. The Genesee Country Nature Center also provides signed trails for an exploration of the area&apos;s natural vegetation. A pleasant 40-minute drive out of downtown Rochester will bring you to the lovely, historic city of Canandaigua, in the gorgeous Finger Lakes region. 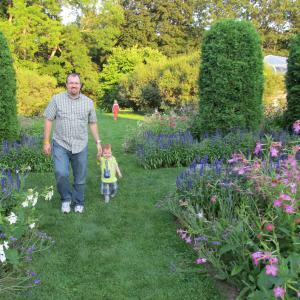 Sonnenberg Mansion & Gardens State Historic Park in the city of Canandaigua is another site that draws garden enthusiasts from all over the world. Wander through nine exquisitely restored themed gardens -- Italian, rose, authentic Japanese (with a teahouse! ), rock tower, moonlight, blue and white, sub-rosa, and pansy gardens over the site&apos;s 52 acres. Fountains, a restored "sweetheart&apos; pond and brooks weave throughout the landscape. Or imagine yourself a guest at the mansion, viewing the gardens from the mansion&apos;s shaded verandas and porches. There&apos;s a Lord & Burnham conservatory and greenhouse complex, too. The Granger Homestead & Carriage Museum on Canandaigua&apos;s wide Main Street was the home of the first Postmaster General of the United States. It&apos;s an excellent example of the Federalist era of great lawns and garden paths. Shades of Jane Austen! The 1812 Bicentennial Peace Garden Trail identifies historic sites, primarily battle sites, along the shores of Lake Ontario, including the Charlotte-Genesee Lighthouse. You can enjoy the bountiful harvests from local growers; and acres of grapes that feed nearly 100 Finger Lakes wineries. The lively Rochester Public Market is open all year round and has many special days like May Flower weekend and Holiday Bazaars. Other farm markets around the area are filled with seasonal produce from local growers as well. At Strong National Museum of Play, the Discovery Garden beside the main entrance provides a delightful urban oasis of plants and flowers known to attract butterflies, birds and other wildlife. Open seasonally, admission to this retreat is free. Don&apos;t forget the more than 12,000 acres of public parklands in and around Rochester -- just waiting for visitors to come and explore. Year-round gardens? We&apos;ve got them! During cold-weather days, visitors can still enjoy the "Flower City." Bausch & Lomb&apos;s Winter Garden is a haven full of light, where 775 large panes of glass enclose trees, shrubs and other plants plus a small pool and cascading waterfall...right in the center of the city! Summer never ends here. 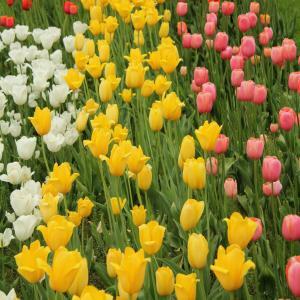 In February - deep winter in Rochester -- "The Dutch Connection" exhibit at George Eastman Museum features thousands of flowering bulbs in a profusion of winter blooms along with a sale of potted bulbs and garden-related lectures. It doesn&apos;t matter what the weather outside might be -- the Dancing Wings Butterfly Garden® at The Strong&apos;s National Museum of Play is an enchanting space filled with hundreds of butterflies flitting among tropical plants. Rochester has more than 70 garden clubs throughout the area. Rochester holds a city-sponsored gardening contest and gives frequent awards for horticultural businesses. 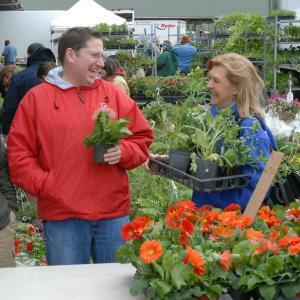 Grossman&apos;s Country Nursery was named a Top 100 Retail Garden Center in 2006 - the only nursery in western New York to receive that recognition from Today&apos;s Garden Center magazine. The Harris Seeds Company began its catalog operation in 1879 in Rochester. Joseph Harris, who settled in the Genesee Valley Region of Western New York in the 1850s, was an English immigrant who became extremely successful in the selection of superior strains of vegetables and grains. Whether you&apos;re a master gardener, have a home garden plot or just love being around everything green and flowery, come to Rochester at any time of the year to experience an exciting community of gardening excellence and flowering fame: "green thumb" not required! May-October: Horticultural and nature center classes and programs. February: "The Dutch Connection" features thousands of flowering bulbs in winter bloom, potted bulb sale and garden-related lectures. May: Plant sale from divisions, cuttings and seeds collected from the historic Eastman gardens. Highland Park (Includes huge lilac collection, Lamberton Conservatory, Vietnam Veterans Memorial Garden, Poet&apos;s Garden, AIDS Remembrance Garden, and a "sunken garden" at Warner Castle).